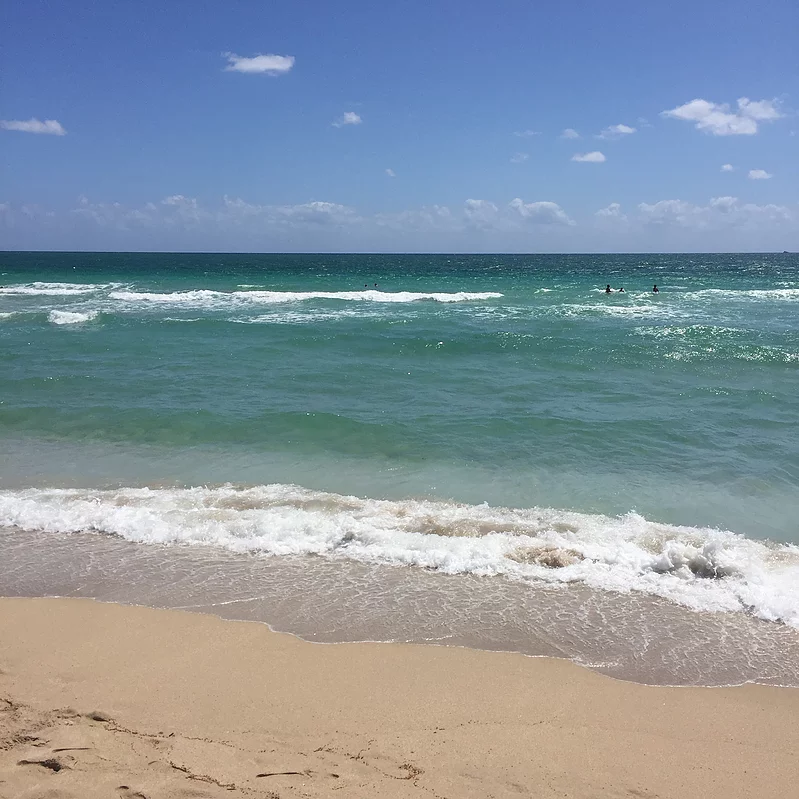 I’m just going to start off by saying for those of you who haven’t been to Miami, its a must! The culture, the nightlife, the food, the beaches, the hotels, everything is such an experience. 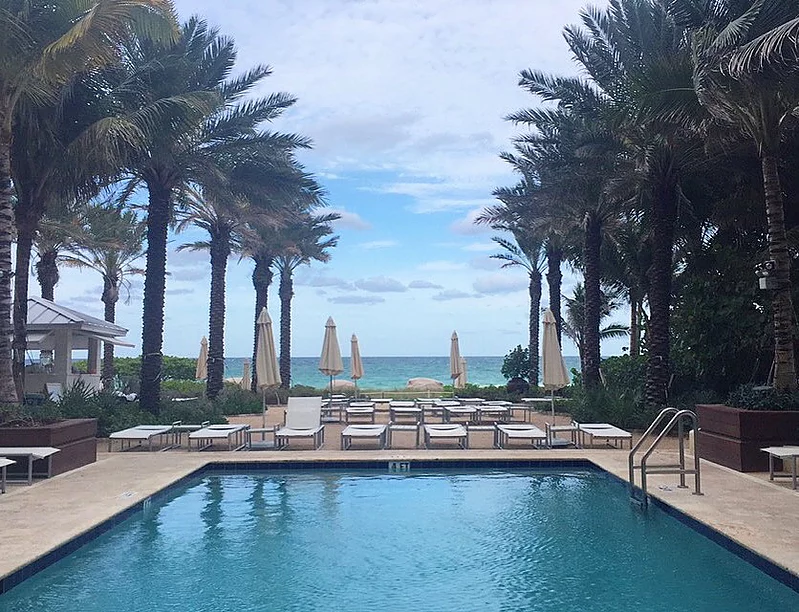 We stayed at the Grand Beach Hotel in Surfside and it was STUNNING! The grounds alone had me at hello. The two buildings are made of glass, one overlooking the ocean (as pictured below) and the other more affordable building, just across the street. 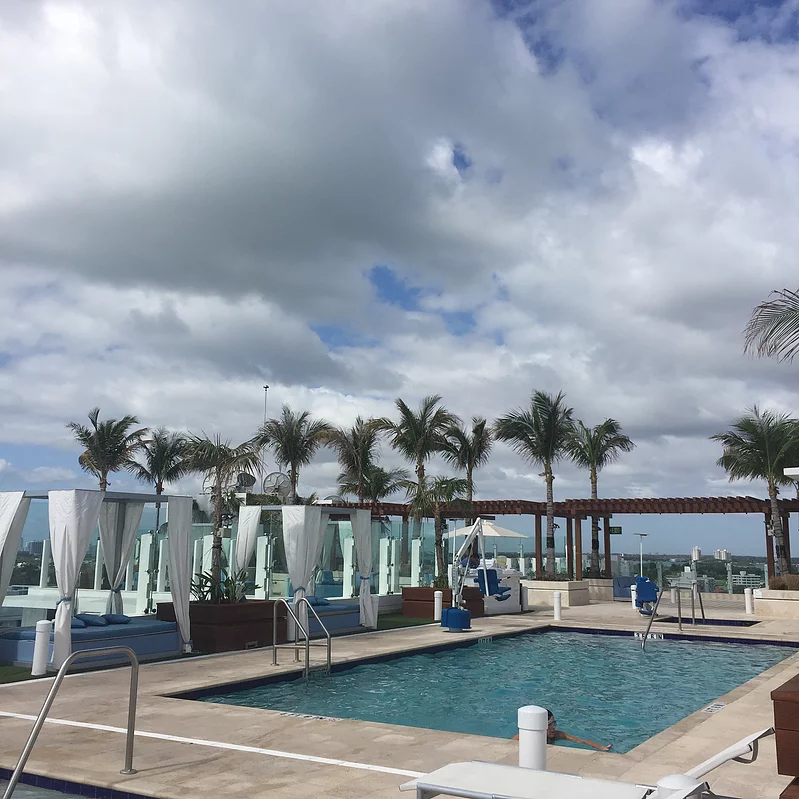 The hotel had anything and everything you could need, a spa, gym, bar, restaurant, cafe, store, two pools, beach access, complimentary cabanas and umbrellas, life-size chess and the list goes on. Their amenities definitely did not disappoint. This stunning dining area below was just breathtaking. Two of the mornings I had breakfast in their outside area and the view was so gorgeous. Palm trees everywhere, with the light sounds of waves splashing just feet away. 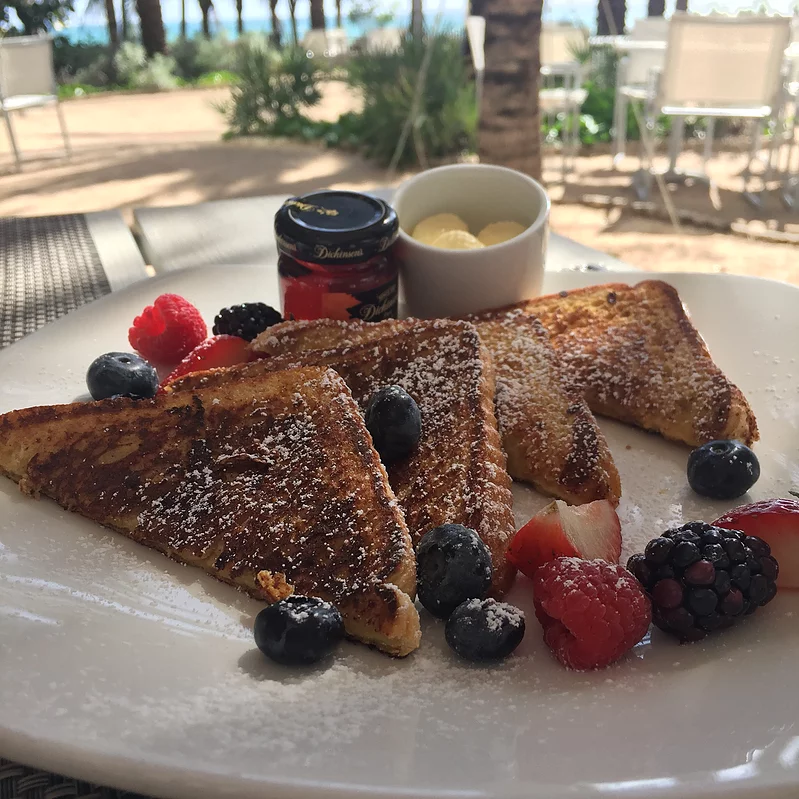 Their food was delicious too, I highly recommend their french toast, with the side of fruit. If you aren’t already packing your bags for Miami, wait until you see the views from the rooftop pool. 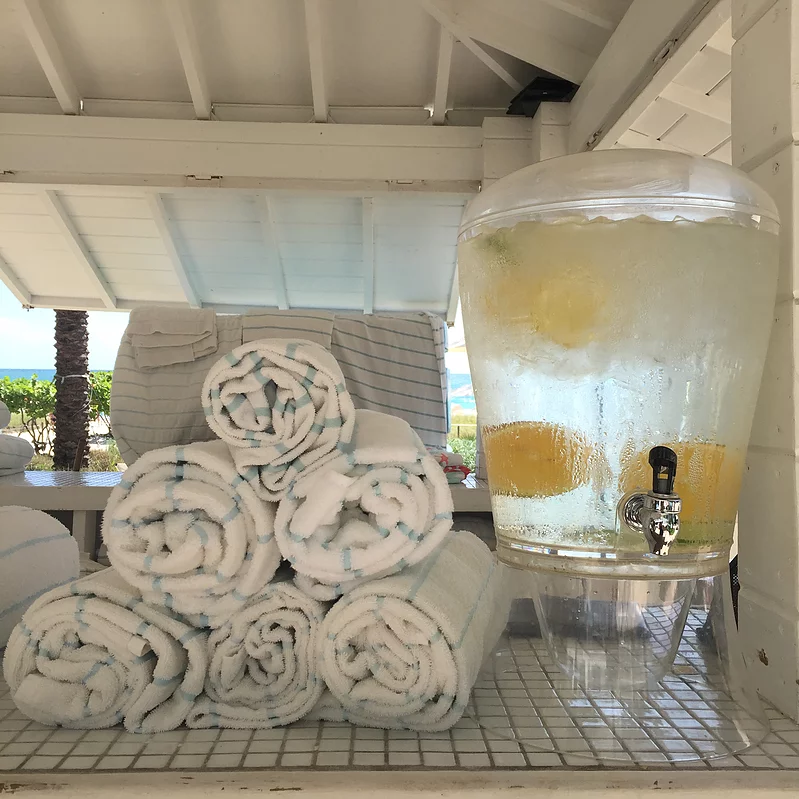 You are instantly greeted by hotel attendants, who offer any drink you want, as well as towels and other services like setting up your cabana to your liking. 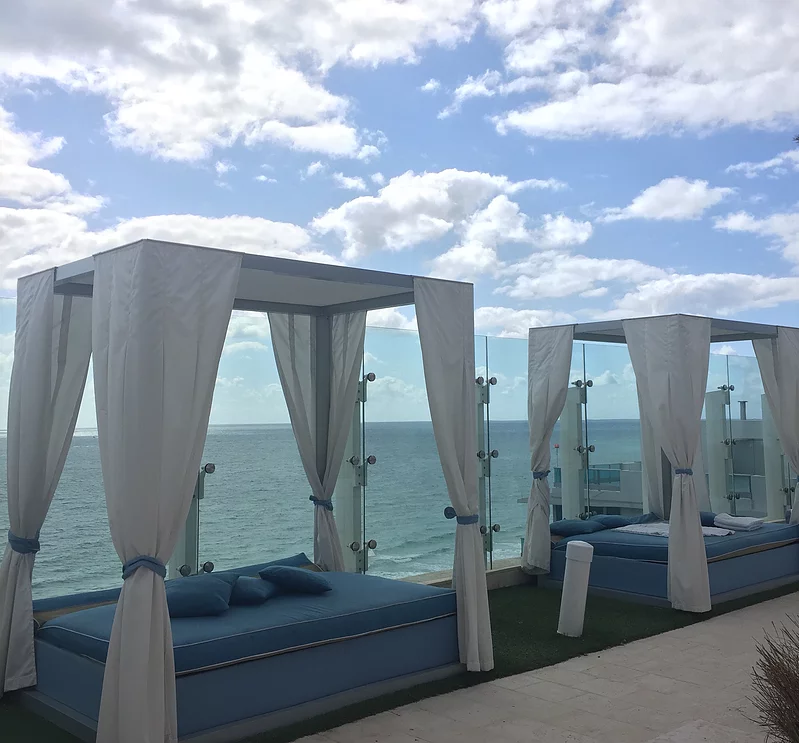 Each cabana has a stunning view of the ocean and pool area. If you walk straight back towards these palm trees in the picture, you’ll find more lounge chairs overlooking the city of South Beach. There is also a beautiful outside bar to re hydrate. 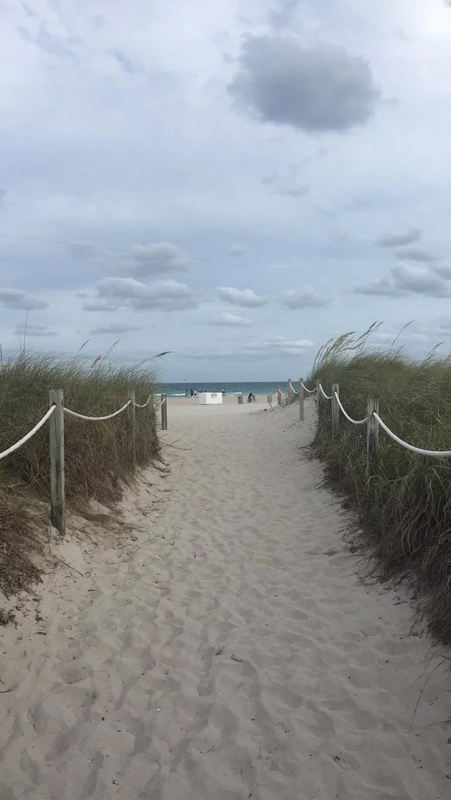 As briefly mentioned, there is direct beach access so if you’re done hanging out poolside, you just stop by the towel station, grab a drink, and follow the sandy path. I don’t know about you guys, but I have never experienced such warm, crystal clear waters before. I am from Northern California so the oceans are way too cold to go waist deep in. This was truly heaven! This getaway was everything I needed and more. 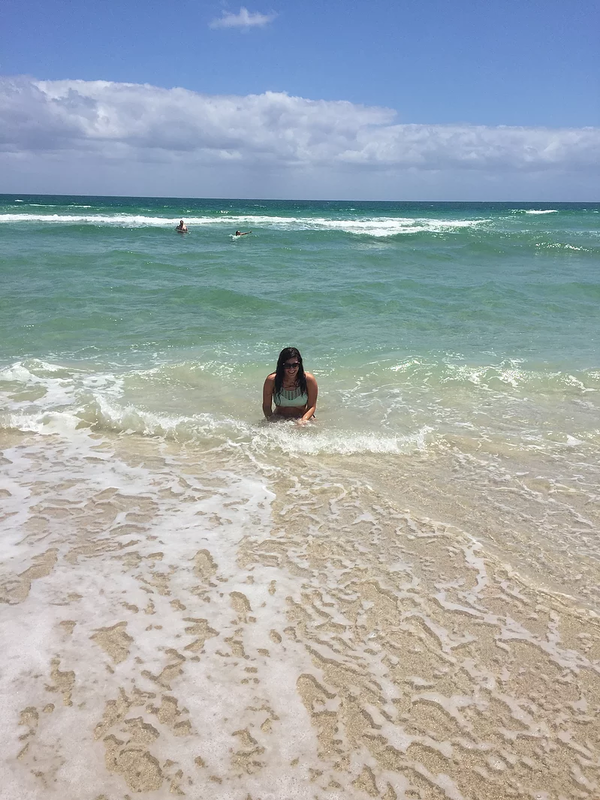 My friends at the Grand Beach Hotel in Surfside made this a trip to remember and I will definitely be back again! 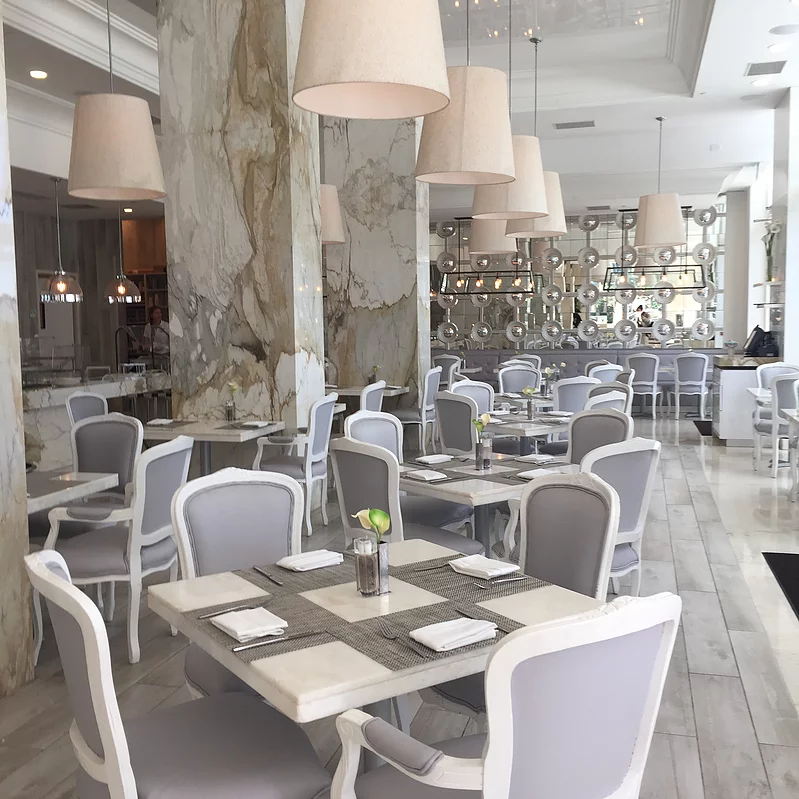 For nightlife, shopping and other adventures around Miami, be sure to read my follow up post.